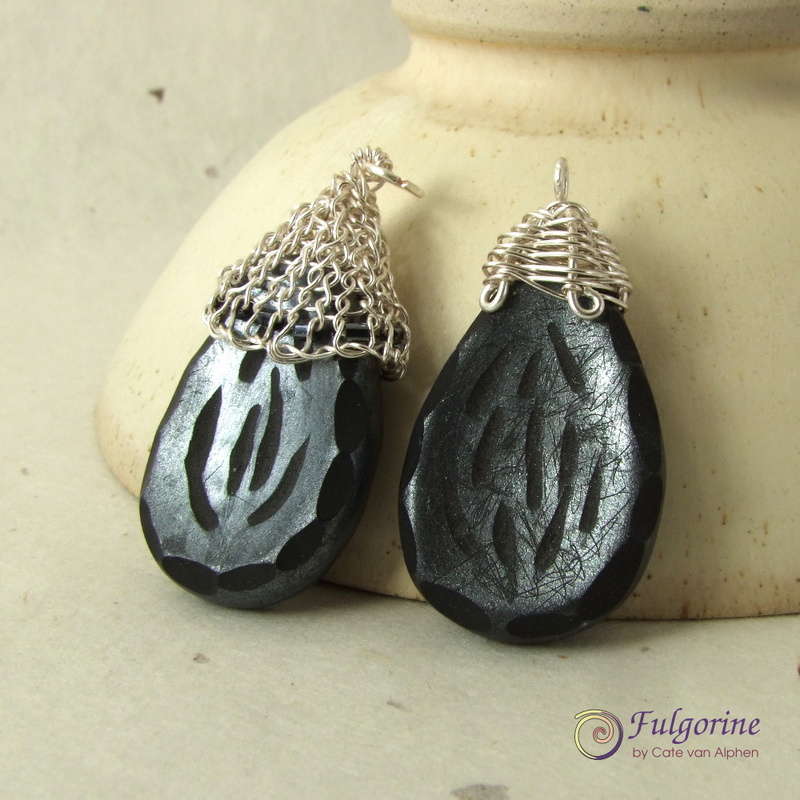 The Auction is now complete and raised over $1000 for Beads of Courage. 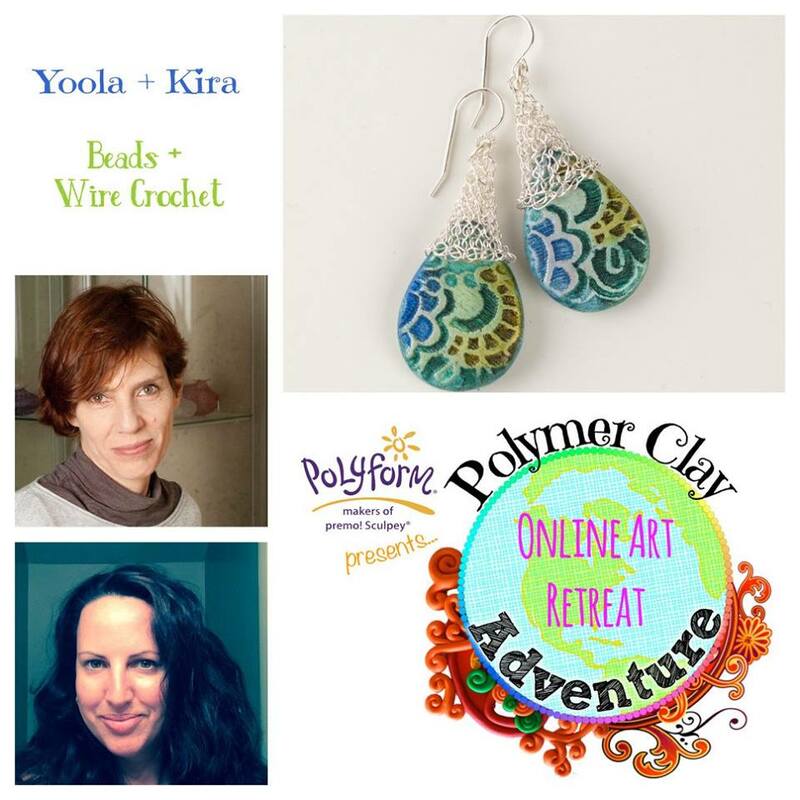 The Art Charm Auction is nearly over. 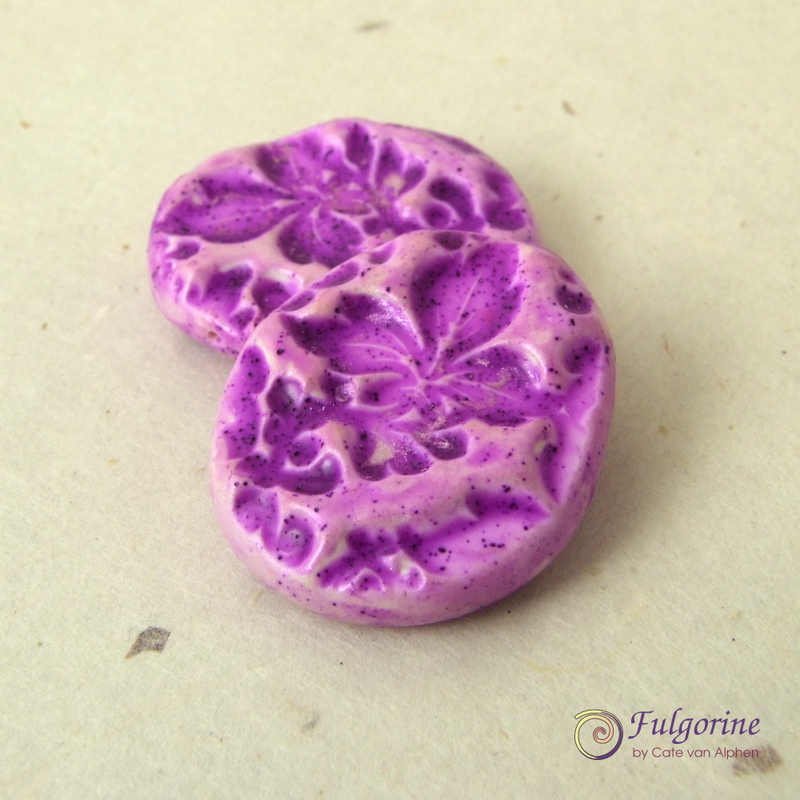 Don’t miss your opportunity to bid on some beautiful Art Charms (especially mine *nudgenudgewinkwink*) and support Beads of Courage. 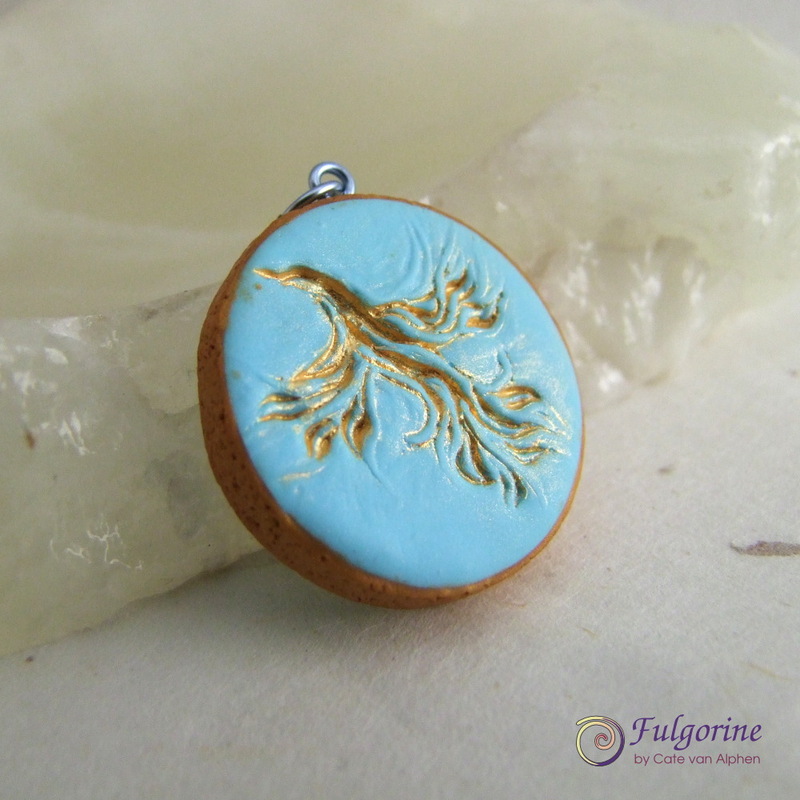 Plus there is still one of my phoenix charms to be won. See my earlier post for details. This year I took part in Jen Cameron’s Art Charm Exchange. The way it works is that you send in 11 charms, and get back 10 art charms from different artists (one of them is your own). The 11th charm goes towards the Auction to benefit Beads of Courage. 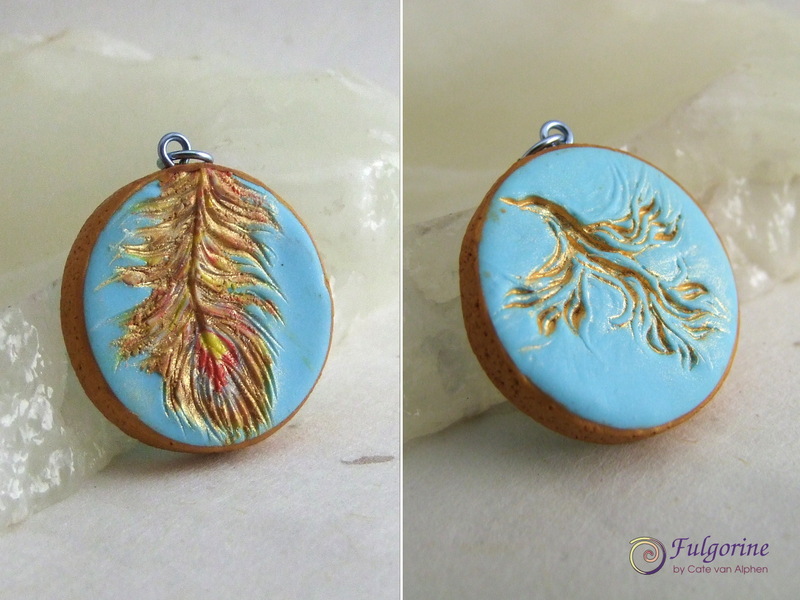 To make it an even number, I decided to make 12 polymer clay charms, so there is one charm to give away 🙂 Have a look at my reveal post to see the inspiration behind the phoenix and it’s feather, and the blog hop to see all the charms made by the other artists. All you need to do to take part in the giveaway is share the link to the AUCTION (or even better, place a bid) and let me know in a comment here that you have done so. Pop in a comment for each share for more chances to win. Please include an email contact. Since a phoenix can SOAR around the world, this giveaway is open to international people too :). 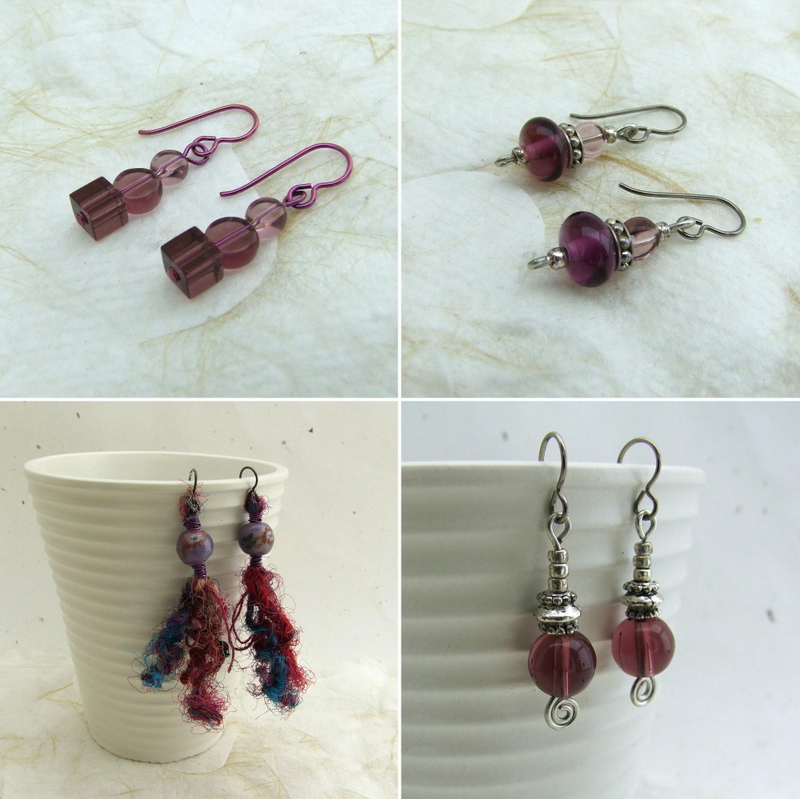 Because the auction is intended to raise money for Beads of Courage, I don’t want this giveaway to discourage you from bidding on the charms there. 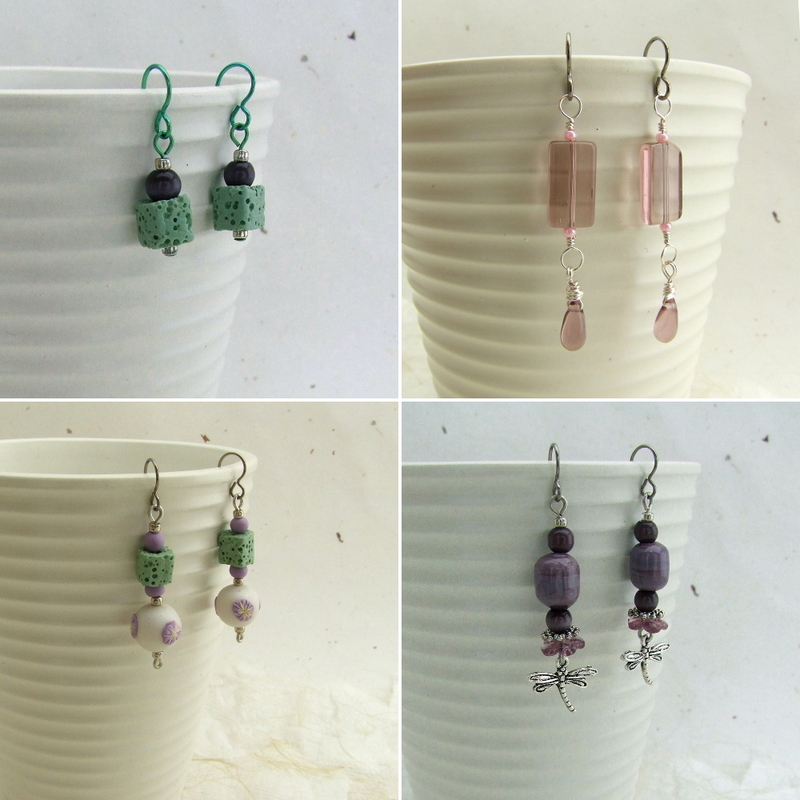 So, if you happen to win both the auction for my charm, and this giveaway I’ll give you a £20 voucher for either my Jewellery or Component store on Etsy instead (unless you actually want a pair of charms *cough*earrings*cough*). I’ll announce the winner after the auction completes. 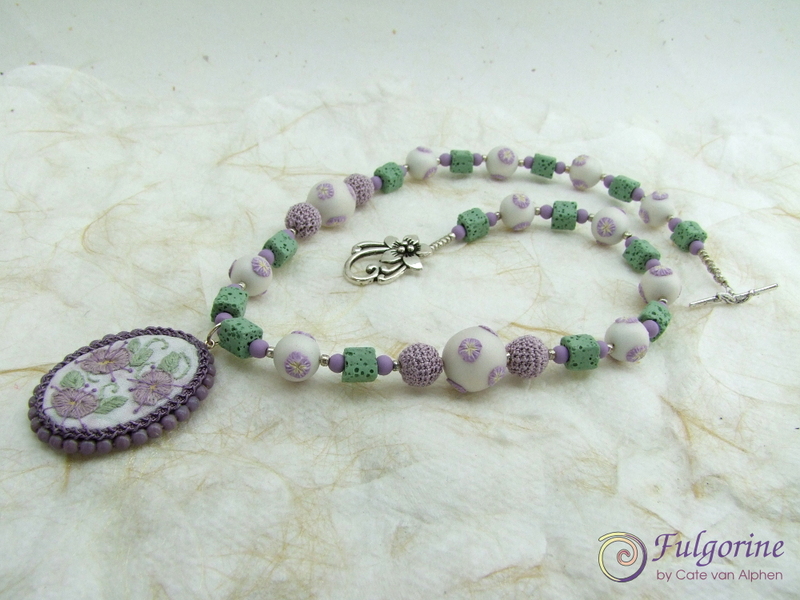 Welcome to my reveal for the 8th Bead Soup Blog Party. 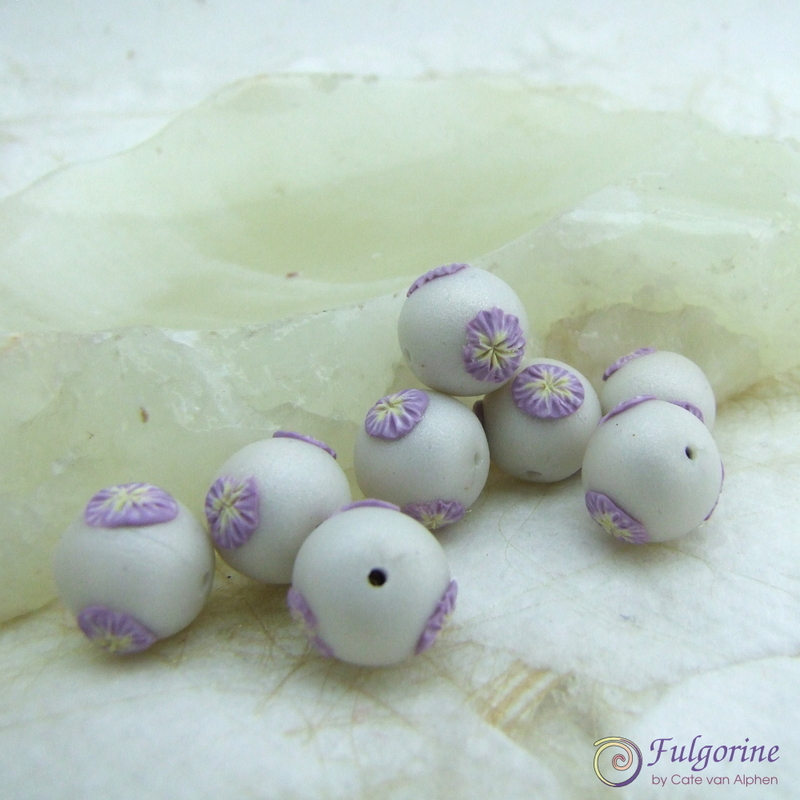 To continue the bead sharing, I’m giving away a set of handmade beads (keep reading to the bottom of this post for details). 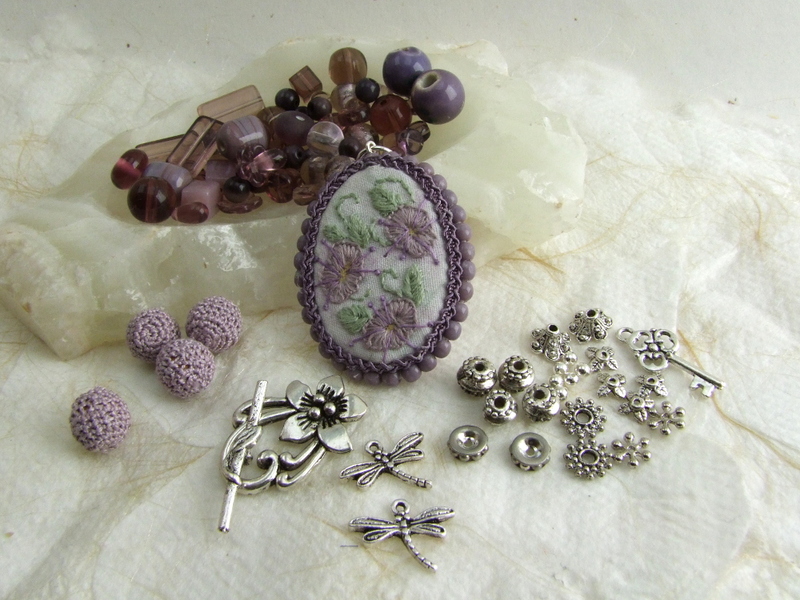 Here is the lovely bead soup sent to me sent to me by my partner Wendy Chamberlain. 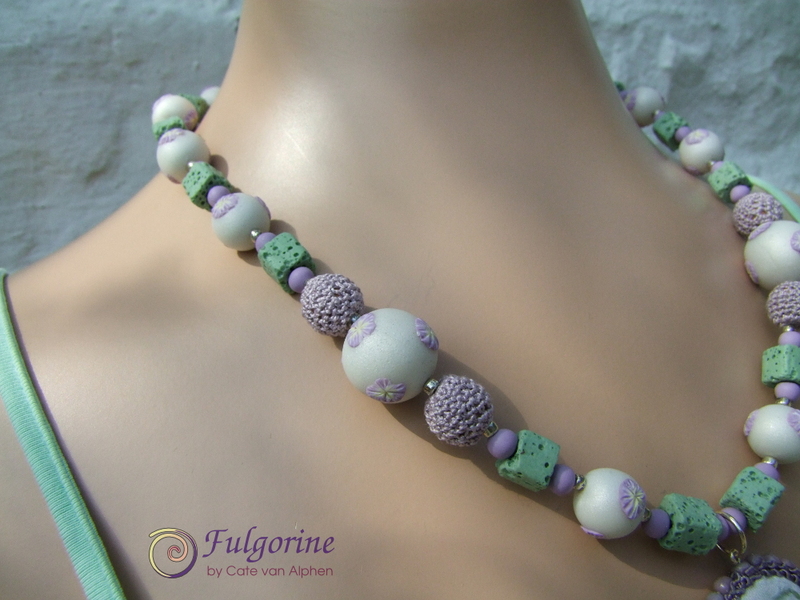 I also used some green dyed lava cube beads that matched the colour of the leaves on the pendant and some silver seed beads. 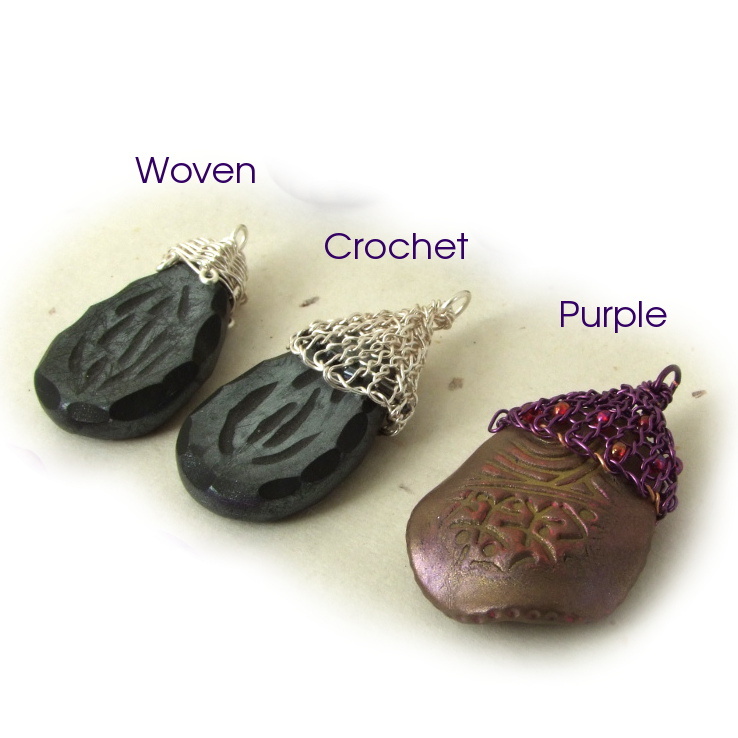 I love the texture that the crochet beads give. 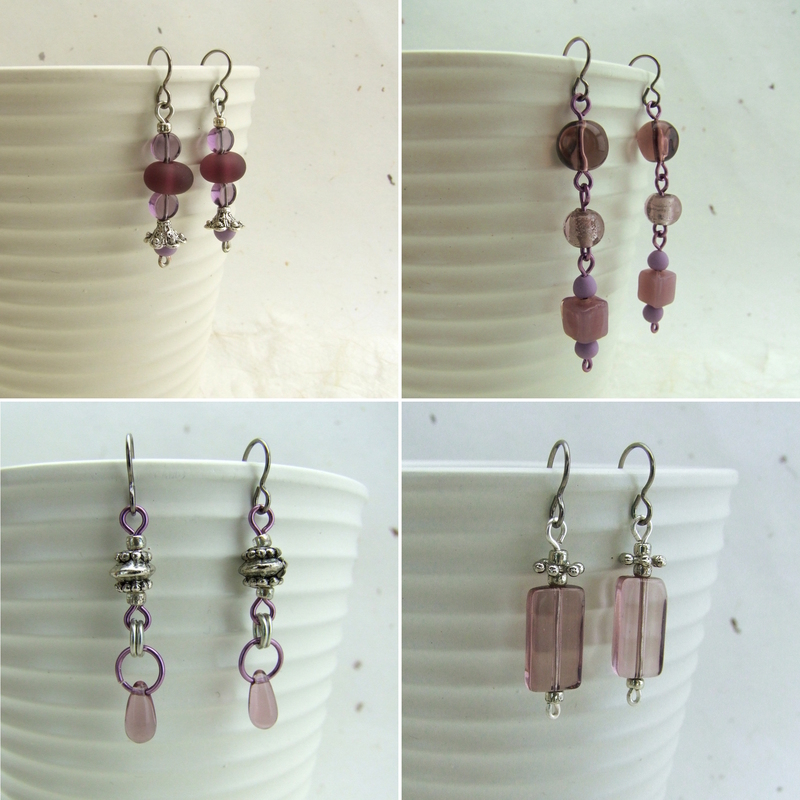 And then I made some earrings… 16 pairs in fact! Thank you Wendy for the wonderful beads, and thank you Lori for all your hard work organising the party. Now have a look at what all the other participants have made, I know I will. 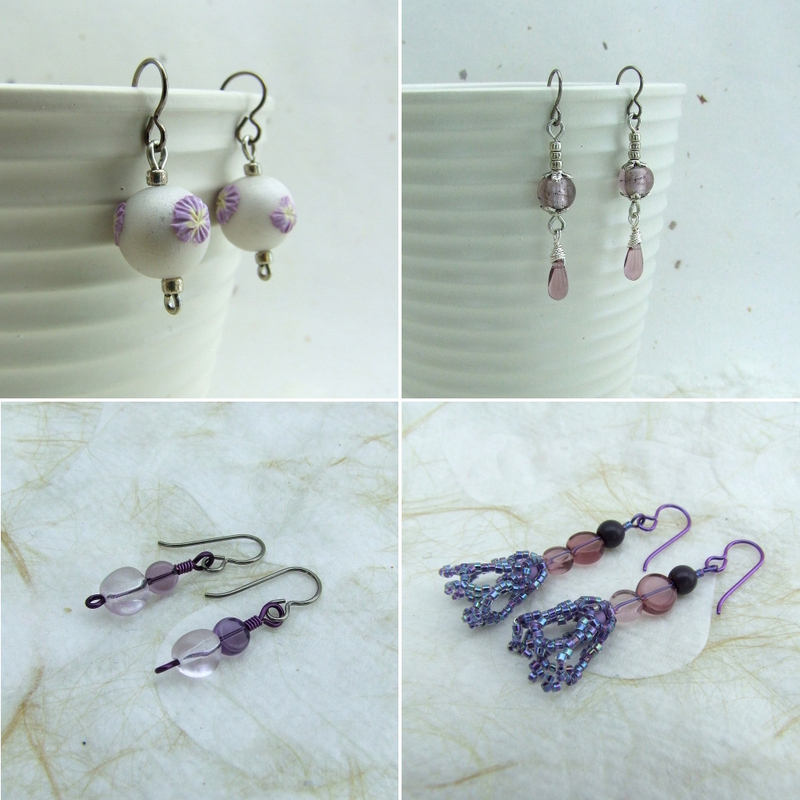 Luckily I was able to stop making earring before I used all the polymer clay beads I had made, so I am giving away a set of 8 ‘Embroidered Pearl’ beads. Just let me know in the comments that you would like to be included in the draw (join in even if you are international). I’ll announce the winner by 1st June 2014. 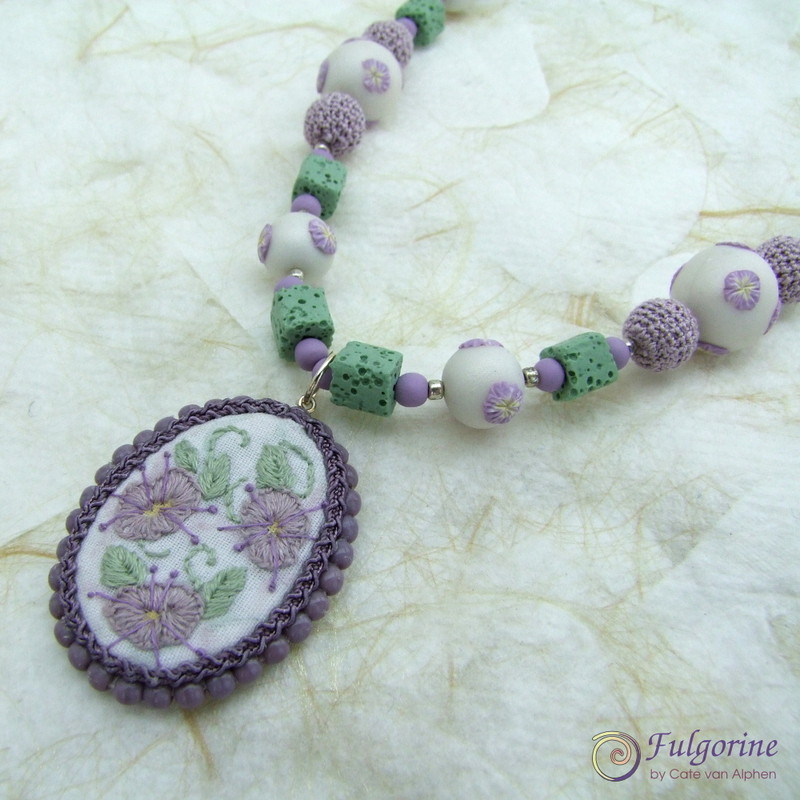 With the help of random.org, the birdy bead has chosen Rosantia Petkova. (Please let me know your contact details so the birdy can find you). 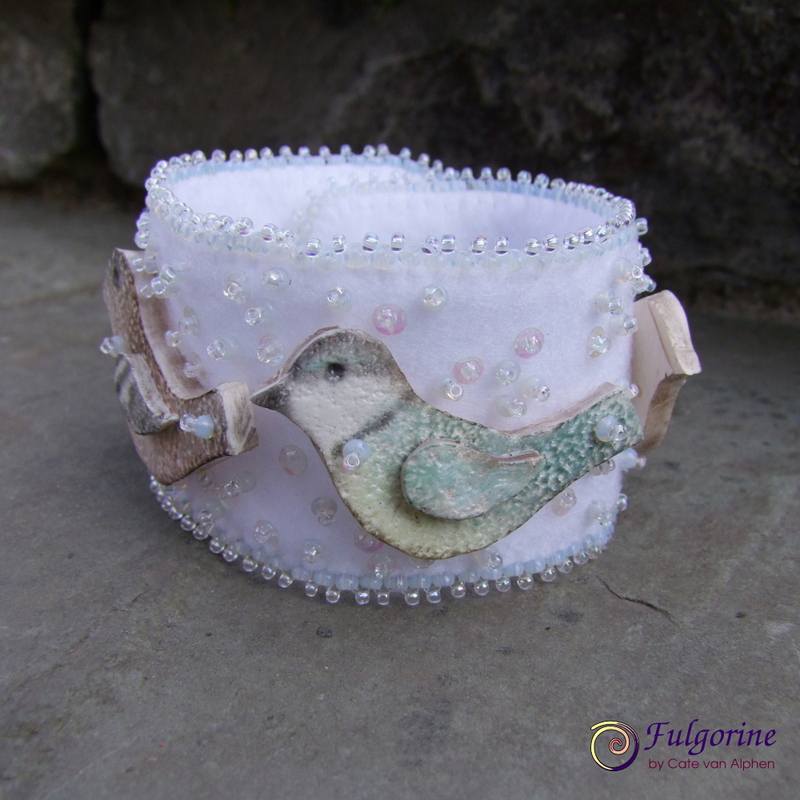 My Bird Cuff became a Mother’s Day gift, however the mother in question has 5 children and there were only 4 birds on the bracelet. 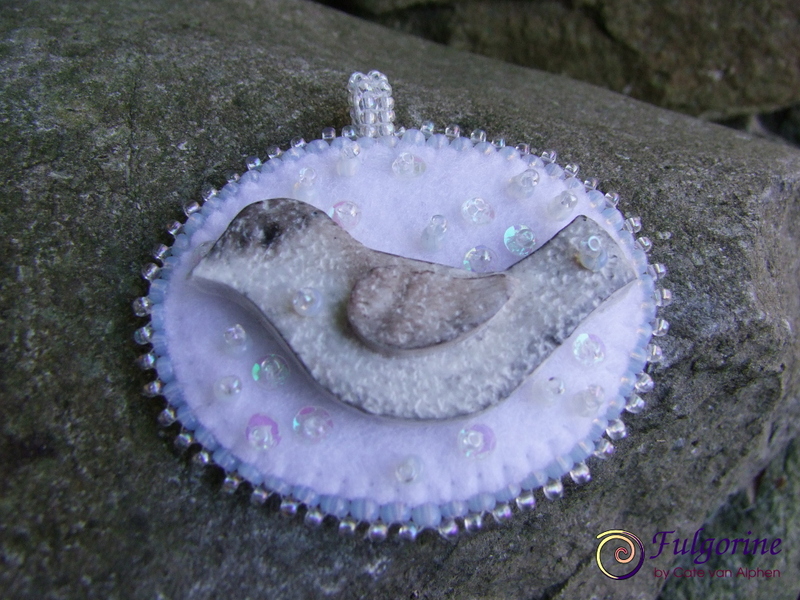 Therefore I made an additional pendant using another birdy so that there are now 5 in the set. Remember there is still one orphaned birdy looking for a new home, so be sure to comment on my previous post if you would like to take part in the giveaway. AND the cuff was one of the randomly selected winners for the monthly prize. 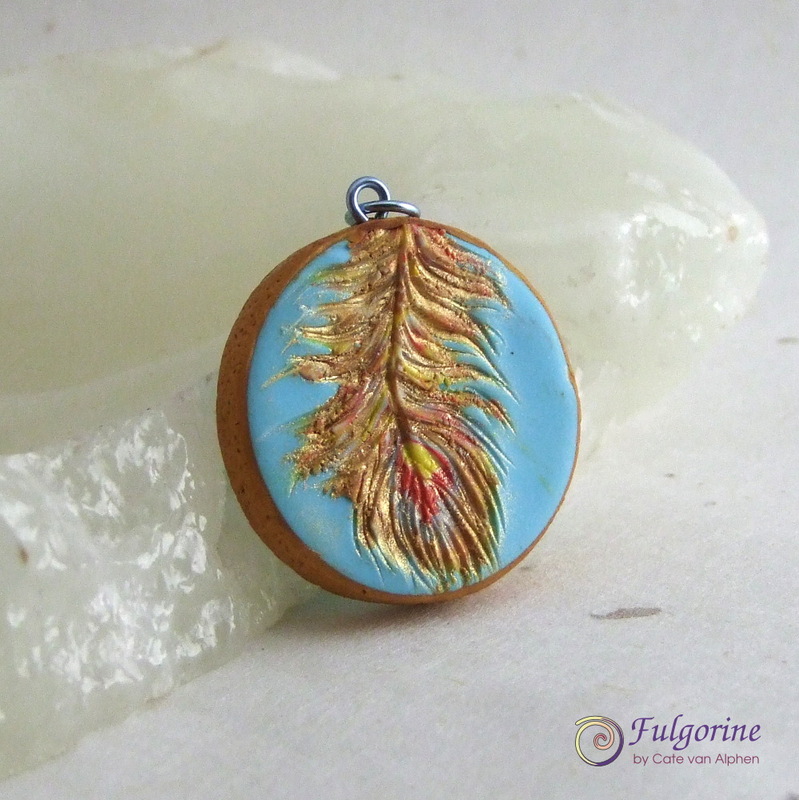 The first thing that sprang to mind when I saw this month’s Art Bead Scene inspiration painting was “Birdies!” (in the voice of my 3 year old). 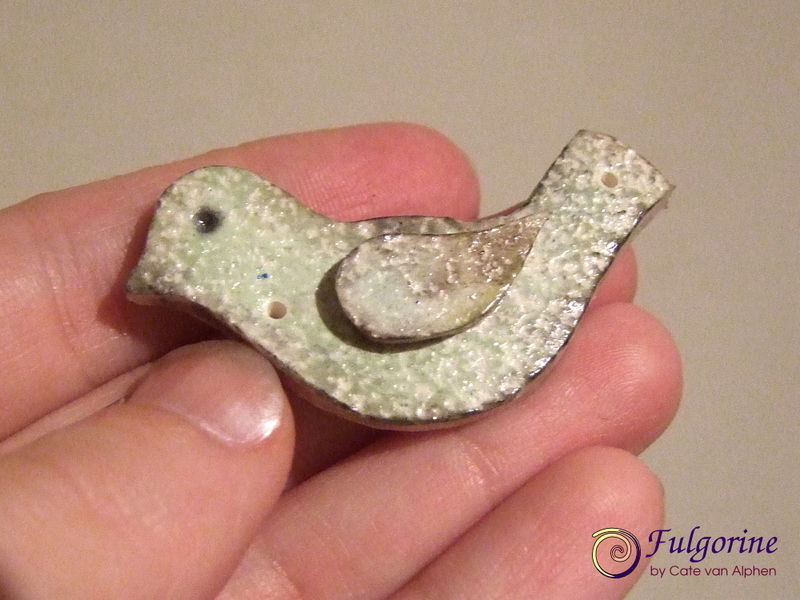 I made some faux ceramic bird beads using polymer clay. I gave them all different colourings as in the painting. 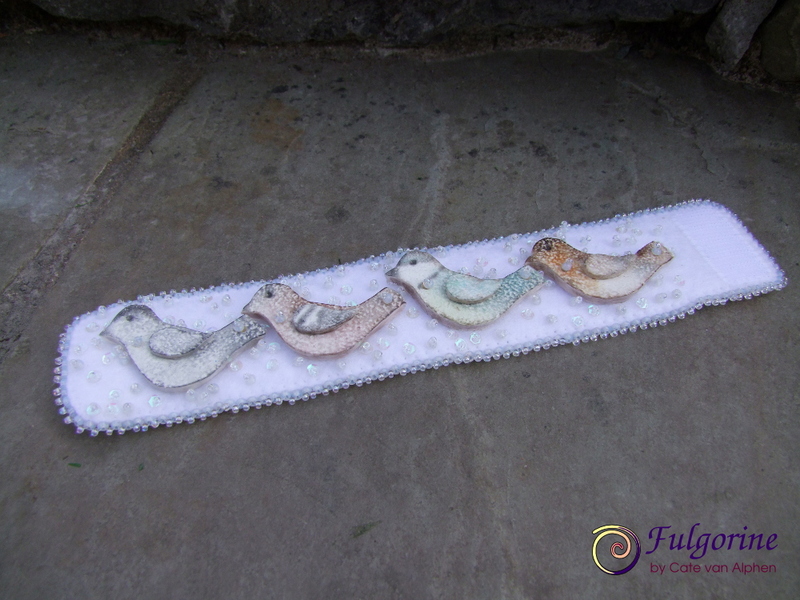 My initial idea was to have a row of birds making a bracelet like a paper doll chain, but some of the cheeky birdies turned inside out. 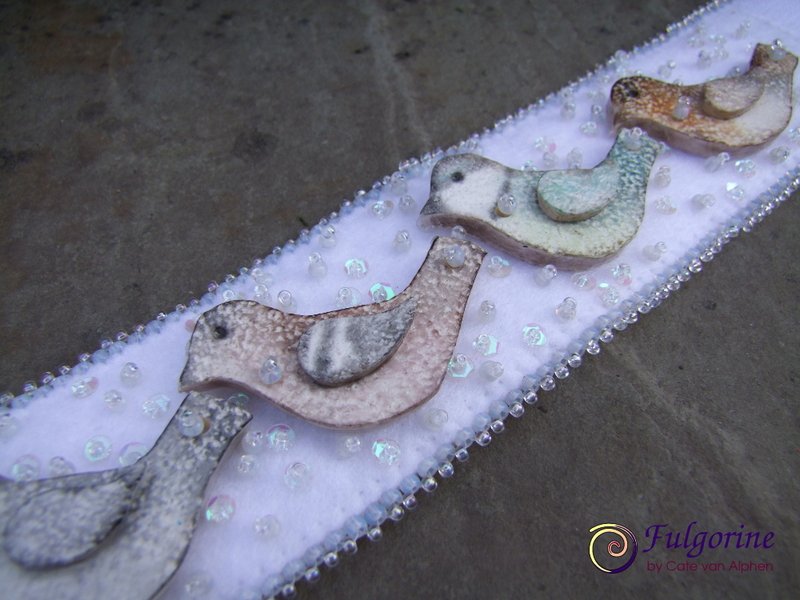 Instead I put them on a white felt backing to create a cuff with a sprinkling of beads and sequins to represent the icy snow. I’ll let you know the winner on Monday 7th April 2014. (Angi, I’ve already sent you an email, please contact me if you haven’t received it yet).